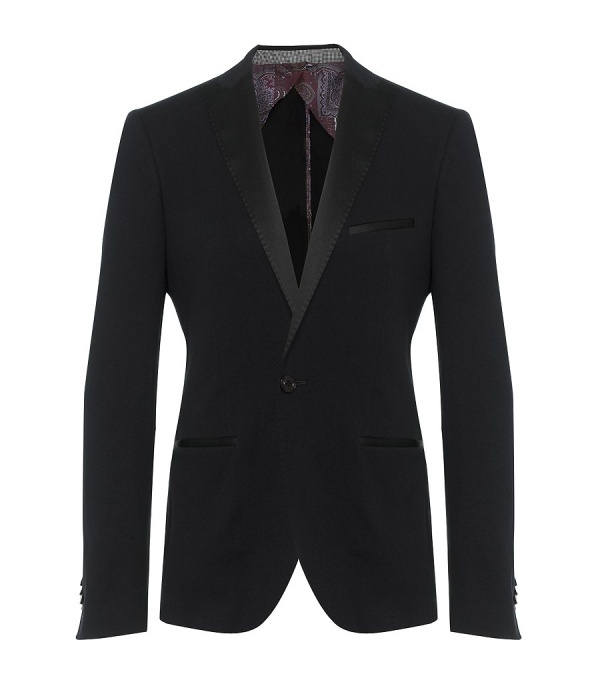 Italian label Etro has just released this tux inspired blazer for fall 2011. An almost bizarre interpretation on the known tux jacket, it’s actually made from cotton jersey giving it an extremely softy feel and a very forward look. However, Etro keeps true to a tux motif with shiny silk lapels and pocket welts. In 92% cotton and 8% polyamide, this fully lined, casual take on the traditional tux coat, is available online. This entry was posted in Blazers, Collections, News and tagged jersey. Bookmark the permalink.